There is an urgent call to action I am requesting. 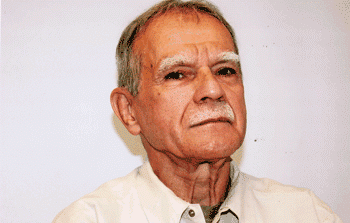 The founder of Dr. Pedro Albizu Campos Puerto Rican High School, Oscar Lopez Rivera, has served 35 years as a political prisoner for his commitment to a free and liberated Puerto Rico. Oscar Lopez Rivera was a fierce advocate of alternative education for disenfranchised youth in the city of Chicago, which allowed for school like ours to provide culturally relevant education, using critical pedagogy to incorporate the critical thinking of Black and Latino youth. Please click on this link to a list supporters for his release, which include Archbishop Desmond Tutu, Senator Bernie Sanders, Congressman Luis Gutierrez, and YCCS Board Member Dr. Laura Ruth Johnson, to name a few. Please encourage your students, staff and teachers to participate! We need 100,000 signatures before Dec. 10. Previous Post: 35 Mujeres – Two More Opportunities to Help Bring Him Home!